Minions fever has hit Melbourne with movie related activities popping up all over town ahead of the release of the Minions feature film, just in time for the winter school holidays. 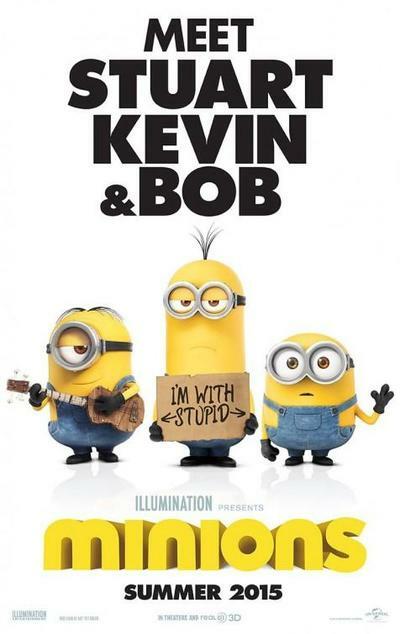 Rather than book a ticket to see the latest animated blockbuster at your regular movie theatre, you might consider attending a screening of Minions at the Jam Factory these school holidays, more specifically on Saturday 4 July 2015. 100% of all ticket sales for the 2:30pm screening for the Minions movie on 4 July will be donated to the Aboriginal Literacy Foundation (ALF) to support the work they do in providing literacy programs to Indigenous children across the country. By all socioeconomic indicators, Indigenous children are the most the disadvantaged group in Australia. The Aboriginal Literacy Foundation exists to improve literacy and numeracy skills through early intervention, with an aim to keep Indigenous children engaged in education, which in turn leads them onto the right path to achieve success in their community and future lives. Funds raised on the Minions movie fundraiser day will support the wonderful work the organisation does to provide literacy programs and opportunities to young Indigenous Australians. Tickets are a reasonable $10 for children under 15 years, and $20 for adults which also includes a small popcorn and 600ml drink.